Newest snowwolf Vfeng e cigs starter kit, made of stainless steel and zinc alloy, three fashionable colors available, the kit include Vfeng TC box mod and Vfeng subohm tank. the new snow wolf box mod with robot design and mechanical shape with scientific and technological sense, powered by 2pcs 18650 batteries and max output 230watts, support resistance as low as 0.1ohm, vapers can switch the output modes quickly. the front panel with one big 1.3inch TFT colorful screen and behind with color changeable snowwolf logo LED light. 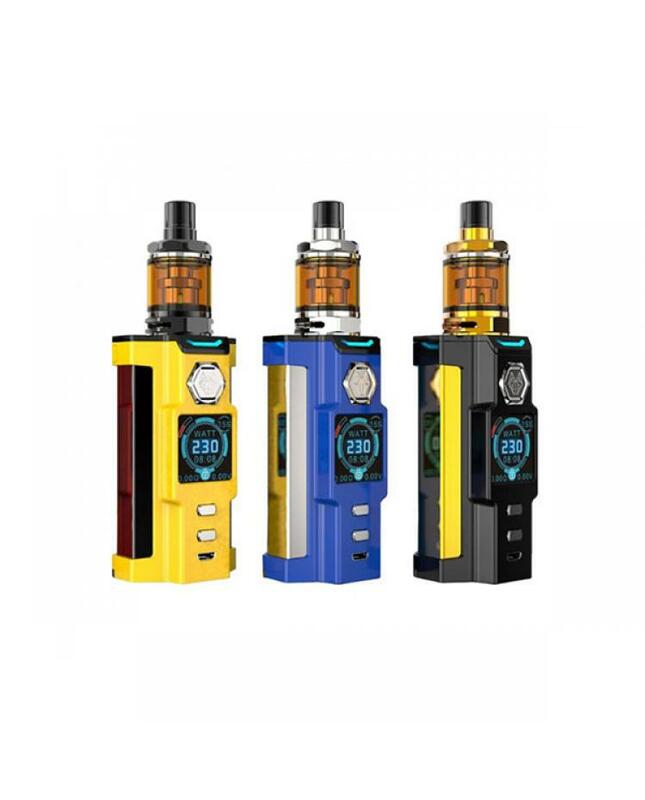 the Vfeng subohm tank can hold 3ml e juice, the new snowwolf tank has two different sub ohm coils available, 0.2ohm, 0.15ohm and 0.4ohm, top refill and bottom airflow control design, easily inject e juice and adjust the airflow to your preference. the new snow wolf 230wvape kit will bring you scientific and technological vaping experience, will produce a massive cloud of vapor and better taste flavor.